2004 Chevy Express Van. Contains signs, cones, and various other devices used for traffic control. It has mobile and portable radios as well. Thank you to Eric Hollinger Funeral home for donating the van for our use. 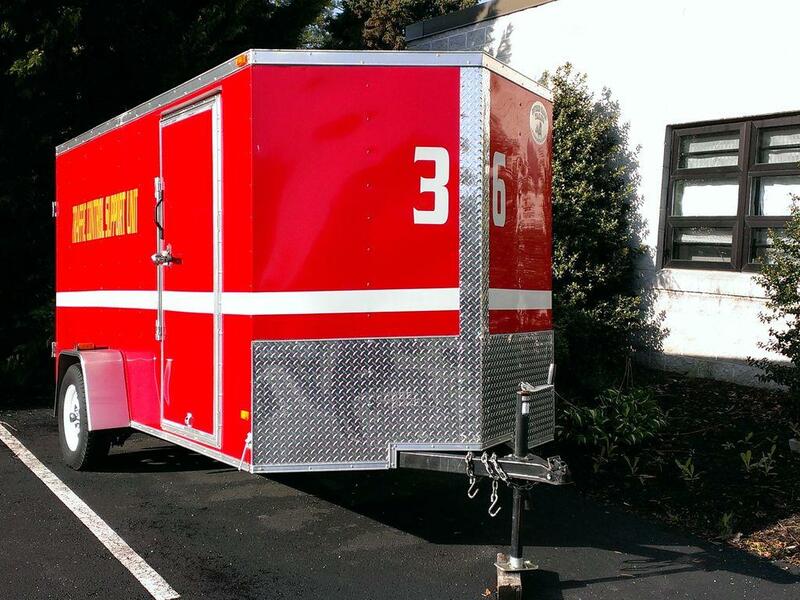 The fire police trailer carries a larger supply of traffic controlling devices.